Clemson's championship football team has been offered a victory meal upgrade. 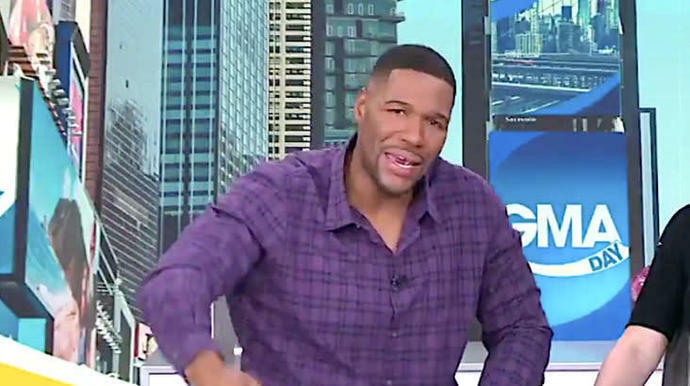 After President Donald Trump served the squad McDonald's and other fast food in a White House visit this week, "Good Morning America" host Michael Strahan on Tuesday promised to feed the 15-0 Tigers lobster. On him. He invited the team to New York City for the feast. "We're gonna take care of you," Strahan, a Hall of Famer who played for the New York Giants, said on the show. "We're gonna give you the proper meal that you deserve because that was one great game, a great accomplishment." Clemson routed Alabama, 44-16, in the championship game for its second title in three years and celebrated with Trump in a fast-food buffet that was mocked by many. We suggest the lads hightail it to the Big Apple and dig in!